As the SNC-Lavalin scandal continues to fester, a growing number of influential commentators and opposition politicians are saying that Prime Minister Justin Trudeau has lost his “moral authority to govern.” We look at the rhetoric around “the moral authority to govern”, what the phrase actually means, and whether it applies to the current scandal. It has become the bumper sticker of a scandal — "the moral authority to govern." 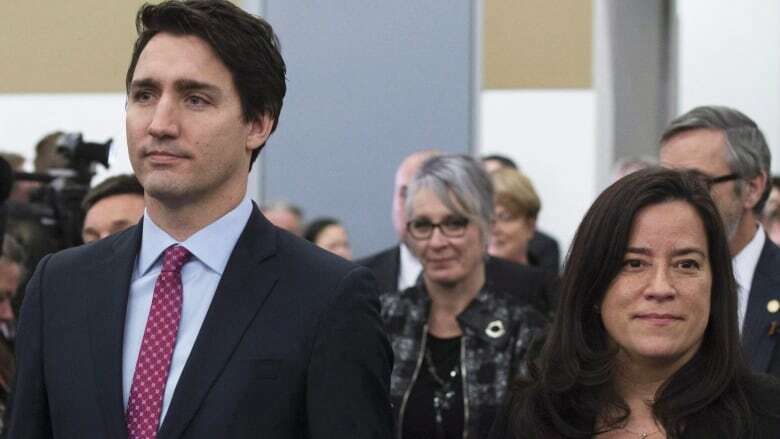 Prime Minister Justin Trudeau has been told he has lost that moral right to govern over SNC Lavalin affair, and should resign. But what exactly does the phrase mean? Where does 'moral authority' originate, and how does a leader lose it or give it away? We invited two experts to help us explore the complicated mix of politics, morality and ethics. Heather MacIvor is a legal writer at LexisNexis Canada and the founding editor of the Rule of Law Report. Before becoming a lawyer, she was a political scientist at the University of Windsor. Patricia Hughes is the Founding Executive of the Law Commission of Ontario, and the former Dean of the University of Calgary law school. Patricia Hughes: "Moral authority to govern is a question of perception. It comes down to whether the government is observing the norms, values and fundamental principles, that we have said govern our society. So when a government seems to be acting against those norms, people question whether they still have the moral authority." Heather MacIvor: "It's the gap that seems to be opening up between the Liberal government's self-professed moral virtue, the performative morality of Mr. Trudeau, and what appears to have happened in dealing with Jody Wilson-Raybould. It's that gap opening up. It's sticking to Justin Trudeau. You have to be careful in politics not to put yourself on too high a pedestal. The fall off really hurts." Patricia Hughes: "The law was not broken. I believe it was inappropriate, motivated by the wrong reasons, a response to lobbying by a company, and it showed disrespect to Jody Wilson-Raybould's status. But the fact that she didn't resign right away is important. She considered it inappropriate but not more than that. I think that if he hadn't demoted her, we wouldn't be in the situation today."